Have questions about trash pick up, leaf collection or snow plowing? DC Department of a Public Works will be on hand at this month’s meeting to give you answers. Plus, we’ll have the usual round of updates. Let’s make Trinidad look nicer by picking up trash along our streets and in our parks. 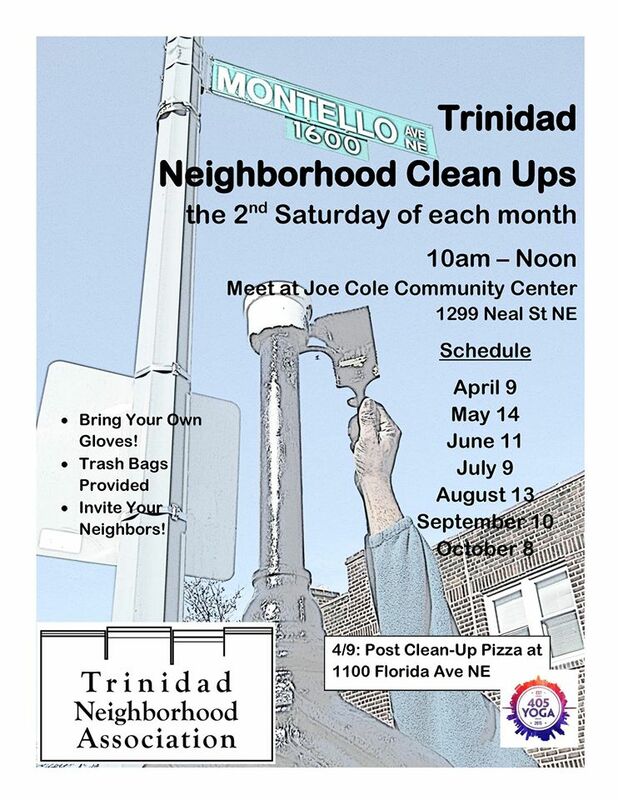 Meet at Joe Cole recreation center on Neal Street this Saturday October 8 at 10am to get trash bags and break out into teams. How much of the neighborhood we can cover and which areas get priority depends on who comes out to help. So please join us. Plus it is a great way to get to know your neighbors.